Hiring a scooter was fuss-free as always and this time we got a semi-automatic which means there is a foot control but no clutch. 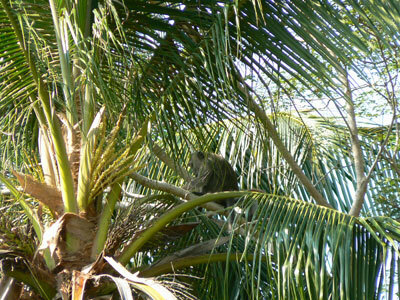 I already knew how it worked from Pramot's bike and we started our ride across the island. 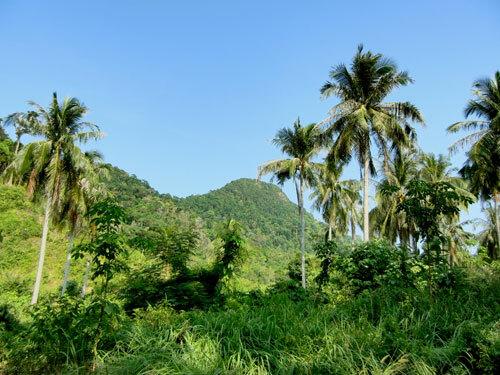 Koh Jum is a very original island with in parts Muslim (in the North) and Thai-Chinese population (in the South). Non-stop electricity was introduced in 2009. Before it was only available temporarily from diesel generators. We did not see a single car on the whole island except one truck at a road construction site. 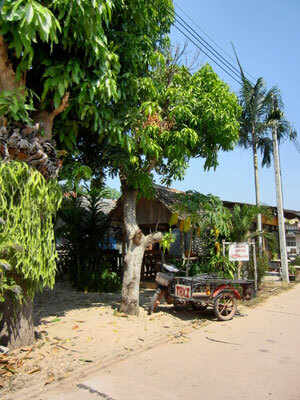 Our first destination was Ban Ting Rai being the next village from our resort and roughly in the middle of the island. Here we filled our tank. 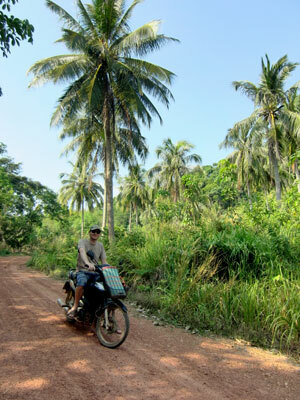 The road from the resort to the village was even worse than the ones on Koh Yao Noi with a lot of stones, potholes and erosion. 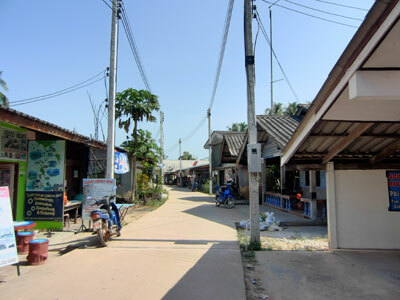 However, the island's "main road" to Ban Koh Jum even has tarmac - what a luxury! In Ban Koh Jum we took a stroll through the island's main village and did some shopping. When we had a drink in a small restaurant near the small port we speechlessly watched a tourist family brazenly walking through town in beach outfit - mother and daughter in bikinis, daddy even wearing no shirt at all. So much for respect and sensitivity! When we started to continue our tour we did not get far - we had a flat tire on the rear wheel! No wonder anyway considering the road conditions... Fortunately there was a workshop next to the restaurant we had been before and so we turned and put the bike in for repair. After less than an hour - we used the time for reading and writing postcards - the repair was finished and we could continue. 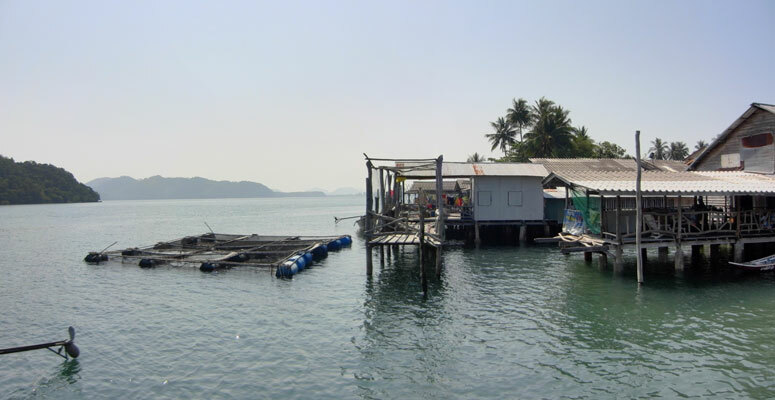 Our next stop was Ban Koh Pu in the Northeast, a Muslim fisher village. There even is a small mosque, and since today was Friday a lot of worshippers - mostly men - were already gathering. A few of them sat in the shade wearing their traditional kaftans and greeted us with a friendly "Salam Aleikum!". On the streets there were only children and women left. 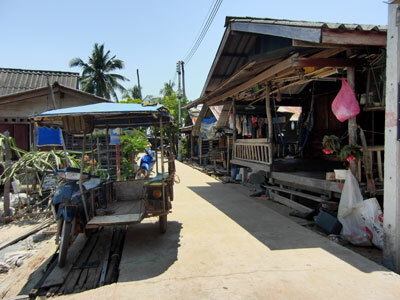 The village itself is spread along the coast with simple but clean houses. Then we headed back south to Andaman or Long Beach for an extended beach walk and some swimming. 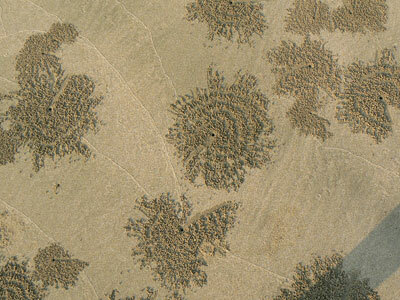 This sandy white beach is lined with palms and spreads over the whole southern west coast. 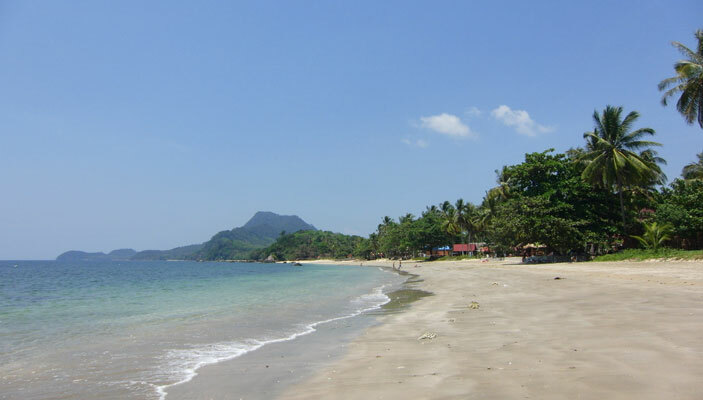 It is perfect for swimming and most of the island's resorts can be found there. At the Golden Pearl Resort we had a delicious lunch with chicken satay and soup with crispy noodles. 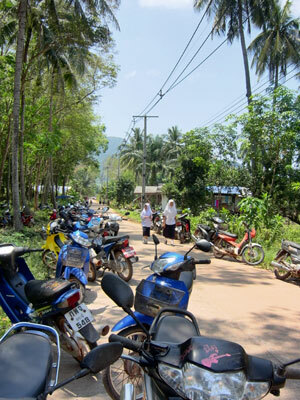 After lunch we passed Ban Koh Pu again and continued counter-clockwise around Pu Mountain. 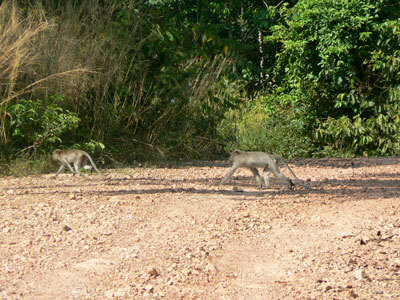 At the west coast we saw some monkeys crossing the street so we stopped and cautiously approached them to watch for a while. This part of the coast road could only be called adventurous. 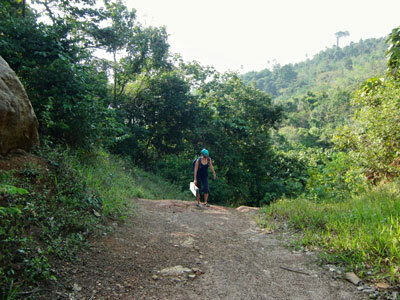 There were some really steep slopes to go up and down and Dagmar had to get down for a few times and I continued alone for safety reasons. It would have been simply too dangerous and the eroded gullies in combination with the loose gravel had been a difficult task to face even alone. 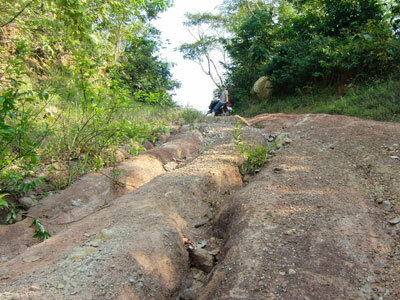 However, the impressive landscape dominated by the green slopes of Pu Mountain more than compensated for the troubles. In the end we returned safely to our resort and we spent the rest of the day on the beach. Since it was low tide by now we walked a few hundred meters to Magic Beach, which is better suited for swimming at low tide. 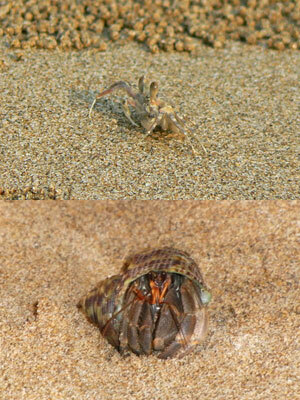 We could watch ghost crabs, mudskippers and even hermit crabs there.